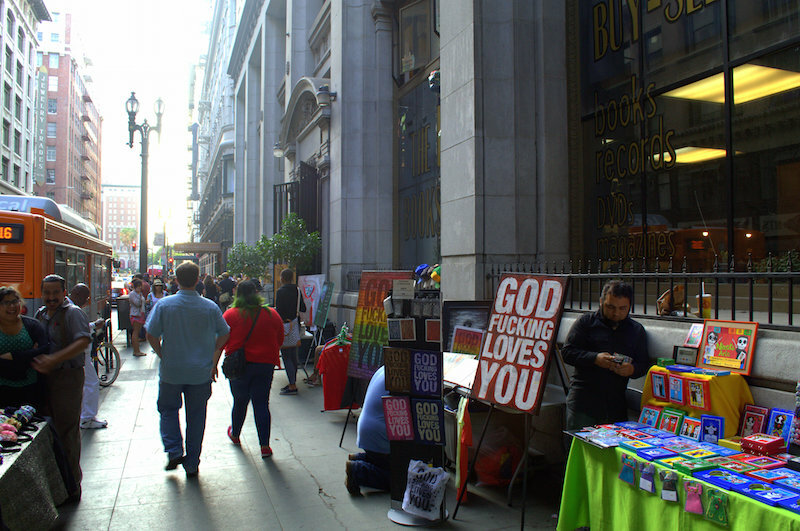 On the second Thursday of every month The Downtown Art Walk transforms seven blocks of DTLA into a vibrant (and free!) pop-up street fair. There is music and crowds and food trucks. There is every type of street art imaginable. 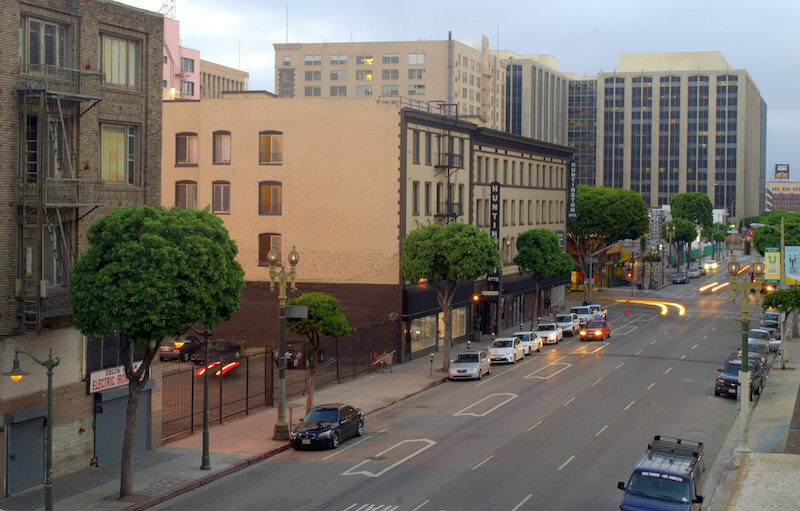 Combine those elements with the normal hustle and bustle of a Thursday in downtown and it creates quite a scene. This is the view from the parking structure where I left my car to attend the Art Walk. Let me start out by saying… PARKING SUCKED… not that this is a surprise. I scored super cheap parking at one of the furthest parking structures from all of the fun, then hiked with my camera in hand to search for art. 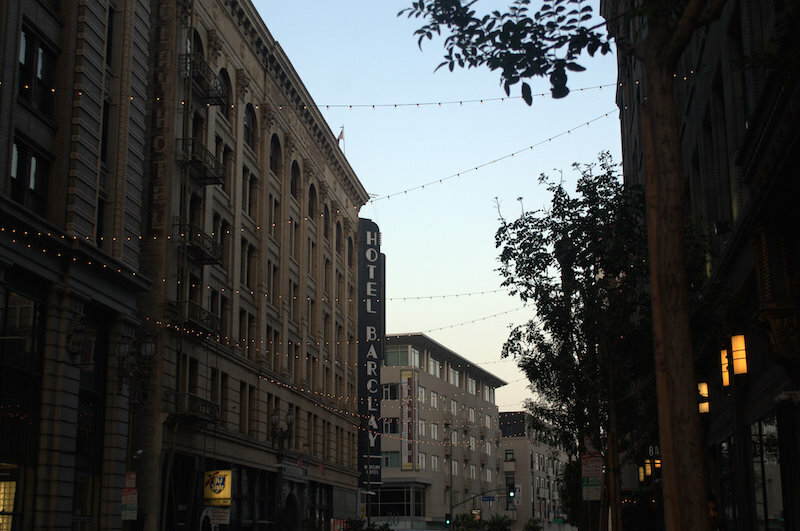 If you plan on braving the traffic and driving to DTLA like I did then here are a few tips. The further you go from the central hub of the Art Walk, the cheaper parking becomes. Also, closing times vary per parking lot, so don’t forget to ask. And bring CASH! Art stands were set from the moment I stepped outside of the structure where I left my car, each one more unique than the next. 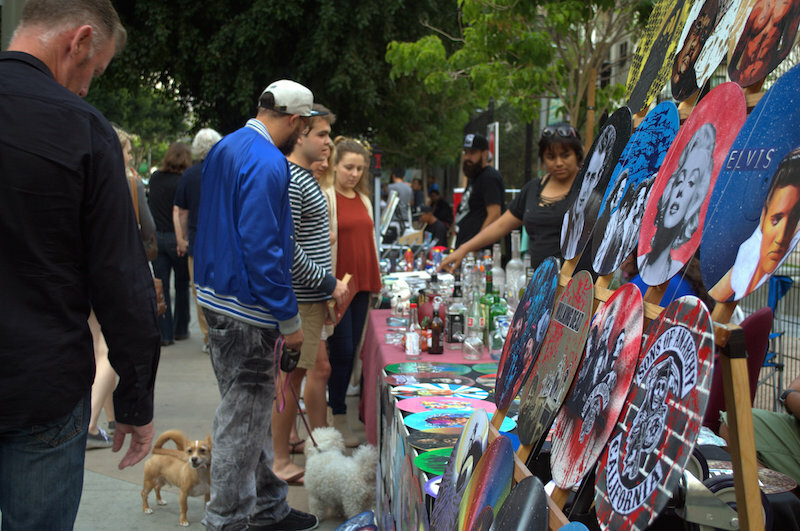 People walked with friends or their dogs to enjoy a of the enticing art from sculptures to paintings on old records, and bongs made from recycled bottles. 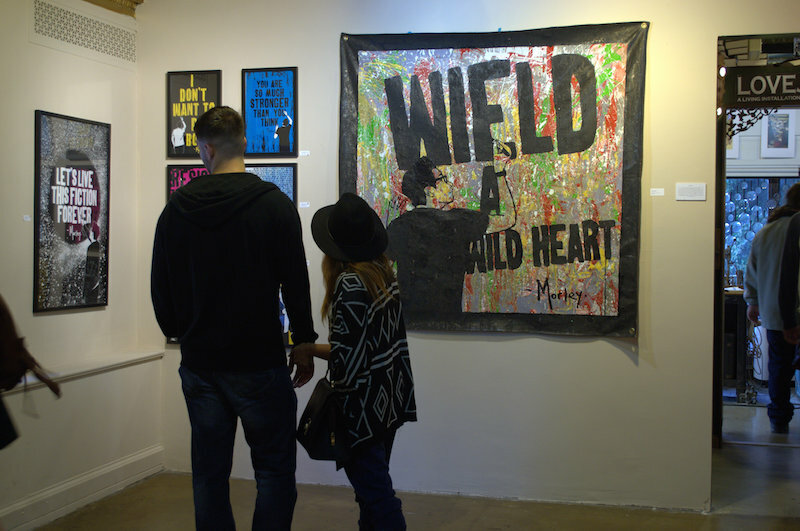 Going to the Art Walk helps you define art in a new way. 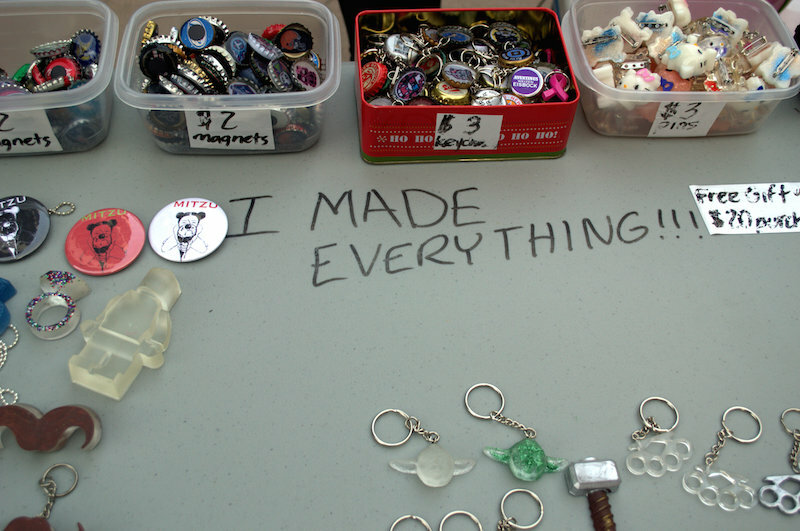 Along with viewing various art, there was also the opportunity to buy wares from as small as stickers and keychains to as big as life size sculptures and paintings. I bought a few little things but part of me wishes I could afford to purchase a few of the expensive framed pictures and paintings. 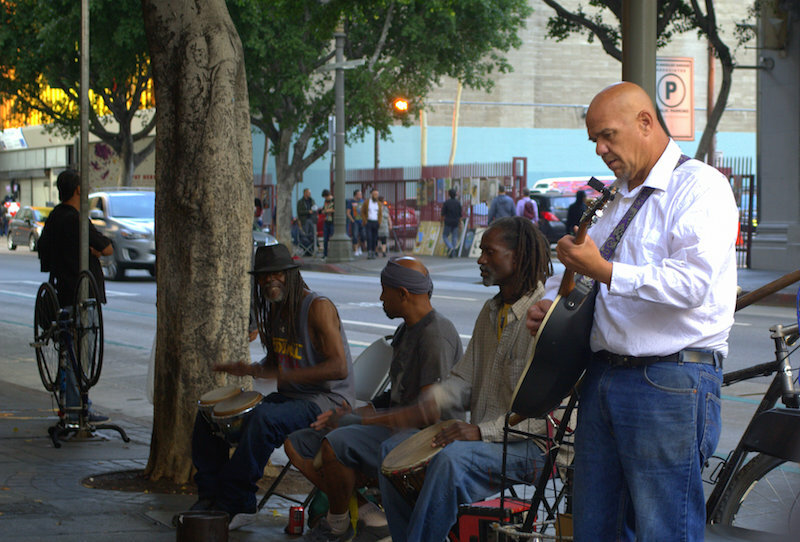 I stumbled across these guys who were playing loudly and crossed the streets to check them out. Good music vibes anyone? 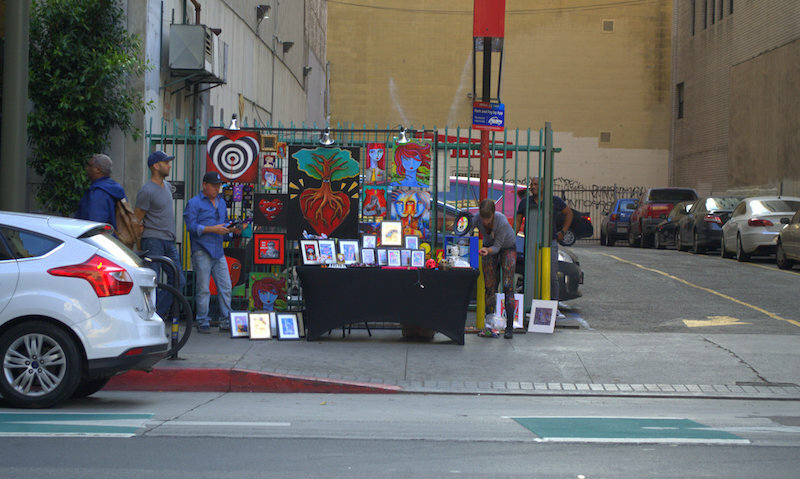 The hustle and bustle of everyday downtown traffic and drama continued as The Downtown Art Walk was in full swing and hitting its peak hours. Some artists were so inspired (or maybe they were bored) that they painted and created new things like this guy. I walked past him maybe five times watching how his skateboard piece progressed, the last I saw, it was really coming along. 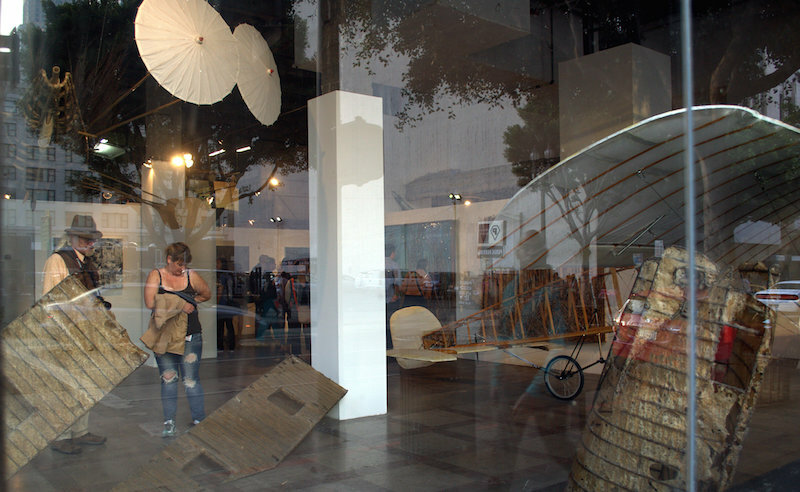 Not only was there art for public viewing along the streets but there were a variety of galleries set up especially for the Downtown Art Walk. The one pictured here is from a gallery on the second level of The Last Bookstore, which definitely worth a view. 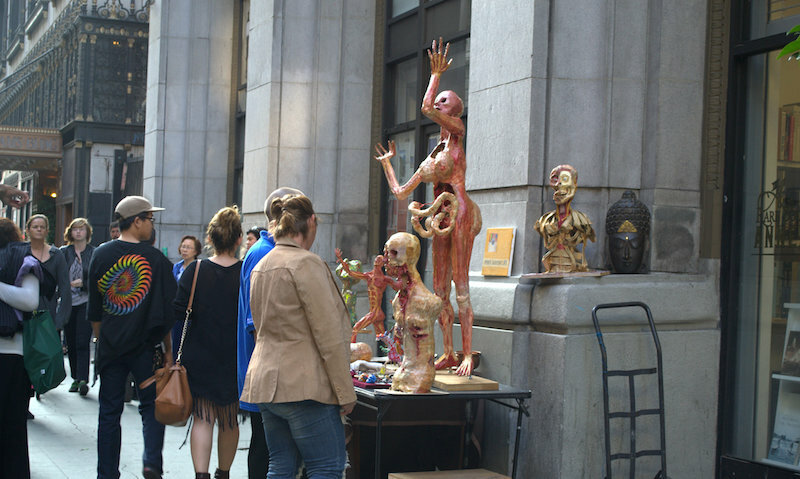 Some of the oddest art sculptures I stumbled upon in front of The Last Bookstore while exploring all of the ground that The Art Walk Covered. What’s an awesome event without food to refuel? 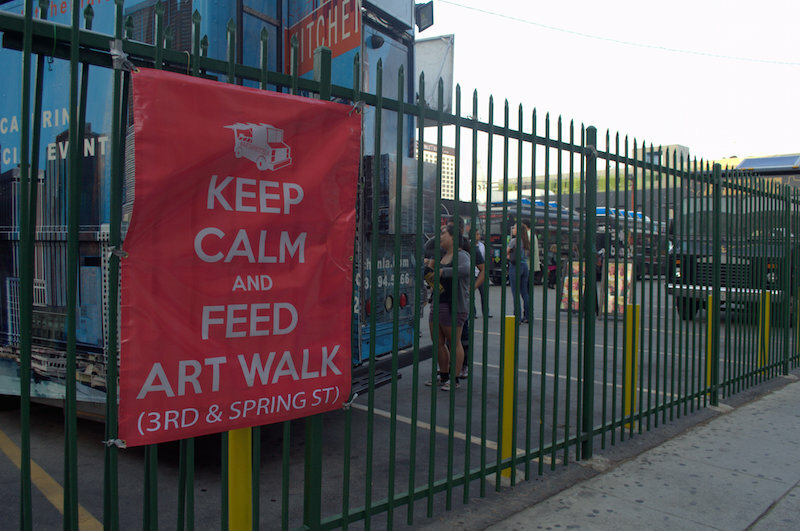 The Art Walk had a parking lot set up for all of the great food trucks to hangout out in. I didn’t order anything to eat but I thought this sign was pretty cool to entice art goers to eat. Of all the things I saw, I think this dude was the coolest and sweetest. 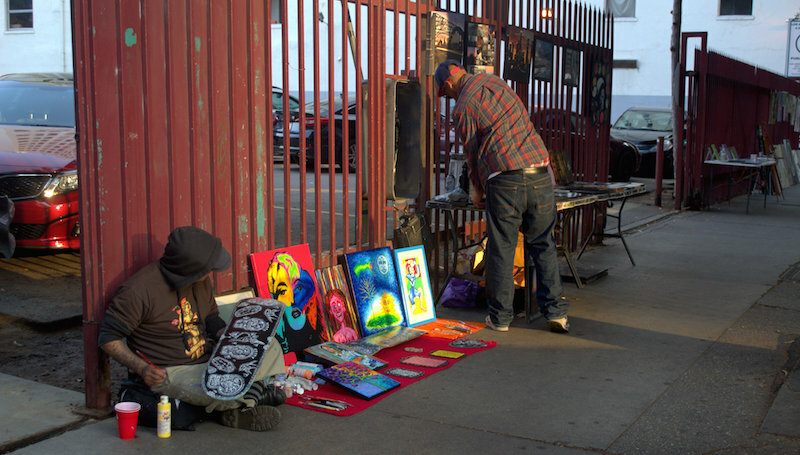 I loved how he just set up his “studio” on the corner and decided to just paint for the day. 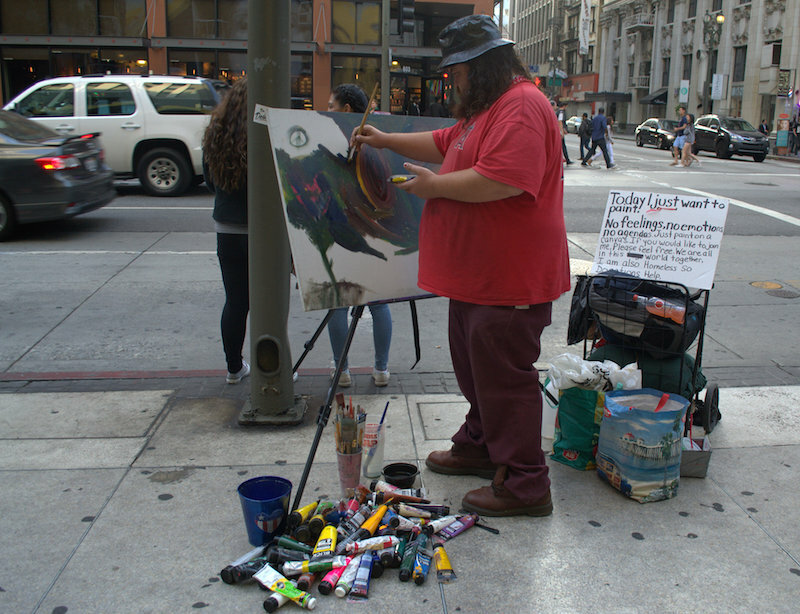 Some people took pictures of him and moved along, others joined him and painted with him. Besides street art, there were also formal art galleries where photography was not allowed but there were some really neat things on display. One of the galleries presented a live ballet studios practice session open to the public to view. This view is basically how I ended my late afternoon adventure at The Downtown Art Walk. If you haven’t been at least once, I wholeheartedly recommend checking it out!